The Communications on Applied Electronics (ISSN: 2394-4714) in association with indexing partners Google Scholar, Elsevier CiteuLike, NASA ADS, CSA ProQuest et. al. 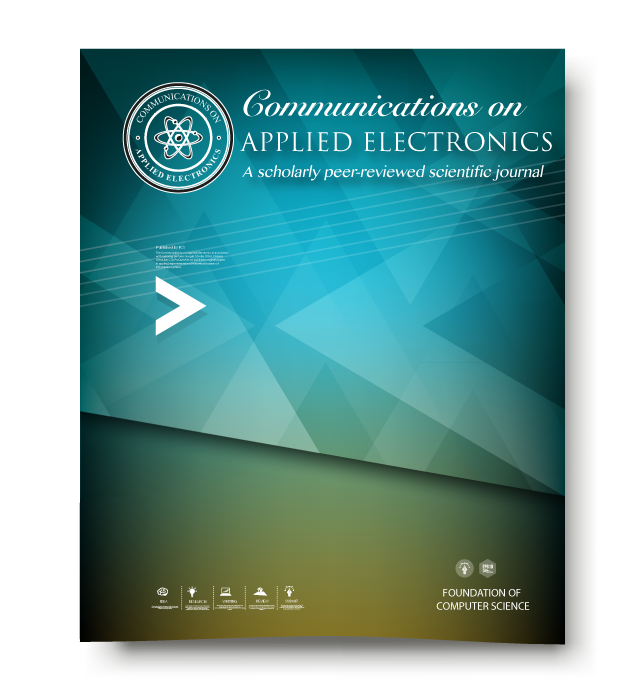 publishes original papers in applied, experimental and theoretical aspects of Electronics and Communications. CAE is published and distributed under the Access Protocol of FCS, New York. CAE is an official member of CrossRef, the citation linking backbone. Each published article is uniquely identified by a DOI.